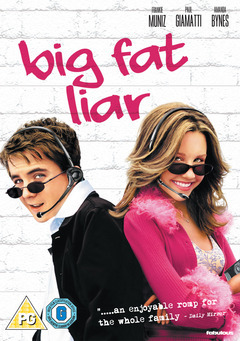 Featuring Hollywood's hottest teen stars (Malcolm in the Middle's Frankie Muniz and Nickelodeon's Amanda Bynes), Big Fat Liar is a hilarious comedy-adventure, filled with non-stop action and laugh-out-loud pranks. When a sleazy movie producer steals 14-year old Jason Shepard's class paper and turns it into a blockbuster, Jason and his best friends fly to Los Angeles to ensure that the truth gets know. And it's pay back time! Big time! Spotlight on location, Deleted scenes, Trivia challenge, Features commentary with director Shawn Levy, Feature commentary with cast member Frankie Muniz, Universal Studios back lot, Are you a Big Fat Liar? Theatrical trailer.